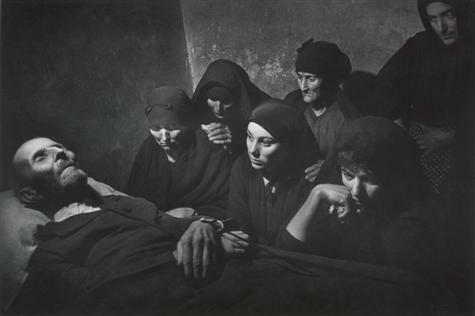 Until March 16th the Photography Museum of Amsterdam (FOAM) presents a retrospective of W. Eugene Smith (US, 1918-1978). 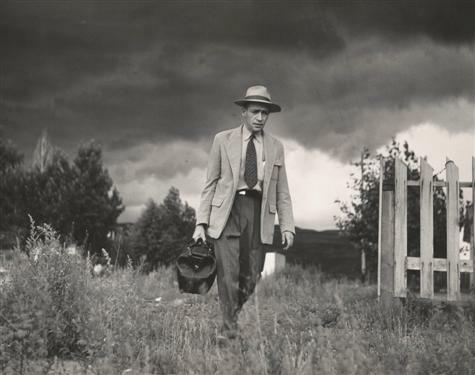 The exhibition features six series of photographs, including The Country Doctor (1948), acclaimed as photojournalism’s first official photo-essay. The other series shown are Nurse Midwife, A Man of Mercy, Spanish Village, Pittsburgh and Minamata. In addition to the photographs, magazines an notes are on display as well as the short documentary entitled Lamp Unto My Feet. The exhibition More Real than Reality gives us an overview of W. Eugene Smiths’ life and work. Smith has been hailed as the founder of the photographic essay with his work The Country Doctor. Smith saw his photo-essays as failures, because he didn’t want to leave the final result to editors. For Smith documenting reality was only a starting point, according to him, rendering the emotions that reality evoked in photographs was the only possible and authentic way to write with light. For him, the personal integrity and social function of photography were inseparable from the need to create images with his thoughts and feelings. Eventually he started photographing for Life magazine. Life published about fifty series, including the series exhibited in FOAM. His tenure at Life was marked by constant conflict with the editors. He submitted his photos with extensive captions, notes and layout suggestions, but these were generally ignored. This eventually led to Smith’s resignation. 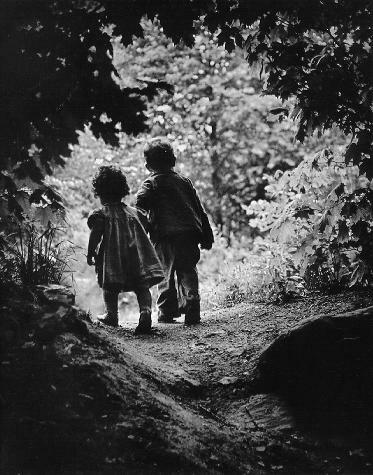 A Walk to paradise Garden, 1949, courtesy The Heirs of W. Eugene Smith. After leaving Life magazine in 1954, he joined the Magnum agency with the hope this would give him the freedom to publish in the way he wanted. His first and only project, Pittsburgh, is also shown in FOAM. Smith put himself under severe pressure and started drinking and using amphetamines to cope with his so called ‘deficiencies’. After leaving Magnum he started a new project called the Big Book, an autobiographical book that collected a life’s worth of pictures. Actually, its official title is the same as the picture that is probably the most famous of all: A Walk to Paradise Garden. He would work until his dying days without ever achieving a final version. In 1971 Smith began the last of his personal crusades. He moved to Japan for three years to fight the injustice suffered by the inhabitants of Minamata. His long-term consumption of alcohol and drugs is assumed to have led to the stroke from which Smith died in 1978. 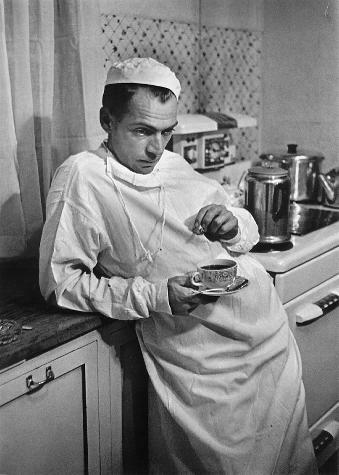 In 1948, Life magazine assigned Smith with a report on a country doctor. Ernest Ceriani would become the photogenic “Country Doctor”, after being carefully selected by Life’s staff. Smith was assigned to document the profession of a physician and his contact with different subjects. He pushed himself to show the heroism of the work and make Ceriani’s dedication to others tangible. In order to achieve this, he had to show who Ceriani was, not just what he did. He rendered him so human and close to the reader that he could actually get to know his character. For 23 days Smith shadowed the doctor and captured the drama in everyday events in the small town of Kremmling Colorado. Smith achieved this extraordinary intimacy by, in his own words, “Fading into the wallpaper”. Despite missing the deadline, Smith was praised by readers and colleagues. The message reached a wide audience and nothing satisfied Smith more that the confirmation of his work’s usefulness. Untitled (From ‘Pittsburgh’), 1955, courtesy, The Heirs of W. Eugene Smith. After Smith joined the Magnum agency, Editor Stefan Lorant chose Smith to get one hundred photographs of every aspect of Pittsburgh. Almost immediately Smith and Lorant clashed. 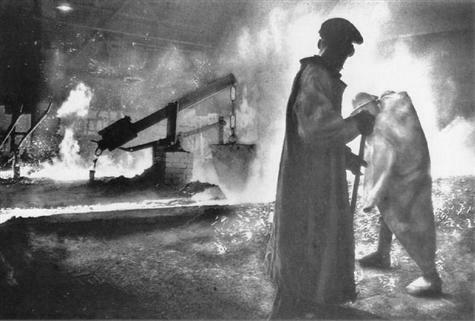 Smith wanted to create a body of work which illustrated the industrial city as a “living entity”; while Lorant was only interested in focusing on the visual transformation of Pittsburgh and the people behind it. What should have been a project that lasted for only few months, turned into an endeavor that lasted for a few years. It would eventually bring Smith to speak of a total defeat. He had not earned anything, had abandoned his family, and despite it all he was unable to bring about his revolution. He had taken thousands of photographs and at one point he had to finance the undertaking on his own. In the end, Smith narrowed his essay down to 2000 images from 10.000 negatives. Eventually 88 of these photographs were published in the 1959 photography annual, but the series failed to meet his demands. In 1971 Smith and his second wife Aileen moved to Japan for three years. They moved to fight the contamination that the little village of Minamata suffered from the Chisso Company dumping mercury into the sea. This poisoned the fish, which were the primary source of nutrition for the people of the village. The Smiths quickly adjusted to their neighbors and earned their thrust. They began with photographing the water and the fish, and then delved into the houses and the intimacy of the families ravaged by illness. They also took part in the protests and fought alongside the victims. In 1972 Smith was attacked by one of the Chisso employees in an attempt to stop him from further publishing the so-called Minamata disease to the world. 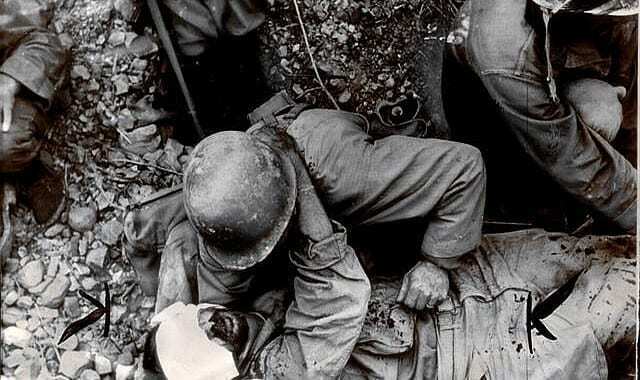 Although he survived the attack, his sight in one eye was deteriorated. One of his most famous works, Tomoko Uemera in Her Bath, drew worldwide attention to the effects of Minamata disease. More Real than Reality offers the visitor a glimpse into the life of W. Eugene Smith. Every phase of his life is represented; from his early days to his very last project. The series are not chronologically exhibited because there are two entrances, one on the first an one on the second floor. However, the exhibition still gives a very clear view on Smith’s life. By not only showing the small documentary Lamp unto my Feet, magazines and notes, but also exhibiting some pictures of Smith, made by friends and unknown photographers there is something personal and intimate to this exhibition. In his lifetime, Eugene Smith became one of photography’s legendary figures. If you haven’t seen his work yet, definitely visit FOAM before March 16th. 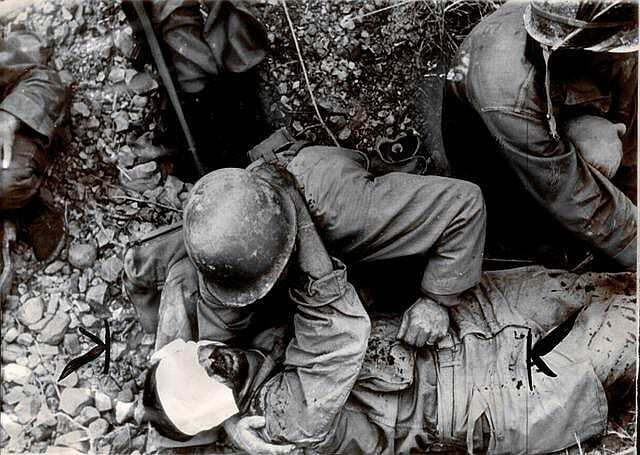 Posted in Essays, War Photography and tagged ASX.NETHERLANDS, Essay W, Exhibition Review, W. Eugene Smith.